Mannathu Padmanabhan was a social reformist and a veteran freedom fighter from the state of Kerala. He was considered as a visionary social reformer who brought the Nair caste members under one roof to showcase their strengths. The Nair Service Society was formed by him to address the need of Nair community members. Currently, the Nair community constitutes about 14.5% of the total population of the state. Mannam was at the forefront of the protest against the rule of the then Diwan of Travancore Sir C.P. Ramaswamy Iyer and other social injustices that were afflicting the society at that point in time. He also practiced law in the Magistrate Courts and became the leading advocate of the region. 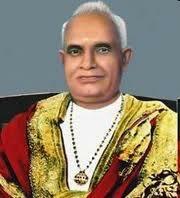 Mannathu Padmanabhan was responsible for enriching the Nair community. In fact, he was the Secretary of the Nair Service Society (NSS) for 31 years and its President for 3 years. Mannathu Padmanabhan was born on January 28, 1878 into a Namboothiri family. His parents were Eswaran Namboothiri of Nilavana Illam and Chiramuttathu Parvathy Amma. He completed his formal education from a local school and graduated from a nearby reputed college. Since he was born into a family with humble background, he had to pick up a job much earlier in his life. When he landed in a teacher's job in 1893, he was only 16 years old. While he was working in a local primary school, he enrolled himself for a course in Law. Since the course was taken on a part-time basis, it took a while for him to complete it. After a period of 12 years, he changed his profession to become a junior advocate in a Magistrate court nearby. After gaining requisite experience in the field of law, he became a reputed advocate in the region. In 1901, Mannathu Padmanabhan married Mechettu Kalyani Amma. In this marriage, he had a daughter with her. His wife died in the year 1912 due to natural causes. Later in the year 1932, he married another woman by the name Thottakattu Madhavi Amma. She was the daughter of Karakattu Narayana Menon and Thottakattu Ikkavu Amma. Her father was the Diwan Peshkar of the erstwhile Princely State of Cochin and her mother was a noted Malayalam poetess. Mannam's wife Thottakattu Madhavi Amma was the first lady member of the Cochin Legislative Council and a gifted writer in the Malayalam language. Though born into an upper caste family, Mannathu Padmanabhan was concerned about the lives of the people from the oppressed castes. Hence, he was at the forefront of the agitations against the oppression of these castes. In fact, he was amongst the leaders who successfully spearheaded the Vaikom Sathyagraham. As a result of the Vaikom Sathyagraham, the Maharajah of the Princely state of Travancore had to sign the famous Temple Entry Proclamation to allow the members of lower castes to worship in the temples of the state. In 1947, Mannathu Padmanabhan joined the Indian National Congress (INS) and led the party's agitation against the infamous misrule of the Travancore state by Sir C.P. Ramaswamy Iyer. At that point in time, Ramaswamy Iyer was the Diwan of the state. He wanted to implement the American model in the state administration. This caused huge uproar in the society and many community leaders upped their ante against this move. During this agitation, Mannathu Padmanabhan was arrested and put in jail. Through the participation in the freedom movement organized by the Congress party, he gained the stature of a mass leader. Owing to this, he was nominated to the Travancore Legislative Assembly. After the independence, the first communist government took over the mantle of running the state. During the tenure of this government, the education reform bill was introduced in the state assembly by then Education Minster Joseph Mundessary. It was vehemently opposed by the members of Christian and Nair communities. In connection with this social movement, Mannathu Padmanabhan led a Vimochana Samaram to save the existing educational set up in the state. Due to this movement, the first communist government lead by E.M.S. Namboodiripadu was dismissed and the President's rule was imposed on the state. With the falling of the communist government, the move to introduce the education reform bill also fell flat. When he Mannathu Padmanabhan was in the political space of the state spearheading various agitations, he felt the need for protecting the human rights of the majority community. Hence, he started private parleys with other like-minded people to find a way out. As a result of these interactions, an organization by the name Nair Brithya Jana Sangham was formed. When this organization was formed, Mannathu Padmanabhan had the support of 13 other Nair community leaders. This organization was incorporated in the year 1914 at Mannathu House in a place called Perumana, near Changanacherry in the Kottayam district of Kerala. Sri Kelappan Nair was its founding President and Mannathu Padmanabhan was its founding Secretary. Slowly, he began to expand the activity of the organization to encompass all the areas involving the Nair community. Hence, this organization was renamed as Nair Service Society. Soon, he decided to give up his lucrative career in the field of law for the dedicated service to the cause of Nair community. After dedicating his life to the cause of NSS and Nair community, Mannam began to tour the length and breadth of the state to popularize the organization amongst the members of Nair community. During this phase of his life, he was marked for simplicity, complete devotion and determination to succeed. These attributes could successfully appeal to the general public. As a result of this, he could win the hearts of the people by destroying the impregnable forts of superstition and a formidable citadel of resistance in them. Gradually, he began to conquer the unexplored areas of his philanthropic work and started building other institutions under NSS out of nothing. Because of these activities undertaken by him in a selfless manner, the institutions built by him still carry forward the legacy left behind by him. Mannathu Padmanabhan was a social reformer and a coveted freedom fighter from the central part of the present-day Kerala. He is more known for his contributions to Nair community. In fact, he dedicated most of his life to enrich the lives of Nair community members. Though he was born into an upper caste family, Mannan sympathized with the cause of oppressed castes. Hence, took part in Vaikom Sathyagraha as a leading member. This sathyagraha had a positive impact on the social fabric of the state. In response of this sathyagraha, Maharajah of Travancore issued the famous Temple Entry Proclamation to allow the lower caste people to do worship in the temples of the state. He also took part as a Congress Party member in the freedom struggle against the alleged misrule of Sir. C.P. Ramaswamy Iyer. In response to the controversial Education Reforms Bill in 1959, he participated in the Vimochana Samaram along with the leaders of Christian communities. This agitation led to the downfall of the first Communist party government in 1959.